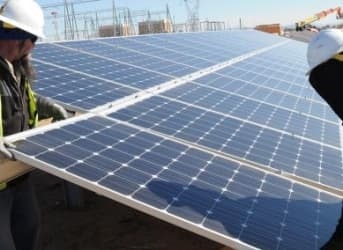 Solar energy quickly gaining attention as the most attractive form of new electricity generation as there have been some substantial investments in the solar energy sector of late. 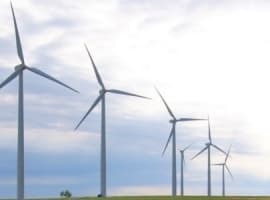 In fact, more than 50 percent of the total investments in new electricity generation around the world was made in renewable energy. 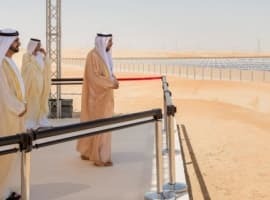 A report made by PWC and the University of Cambridge for the national bank of Abu Dhabi stated that the world invested around $150 billion into solar energy in 2014. 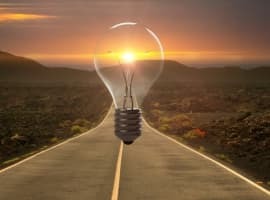 “As Government and utilities are driven to bring new generation capacity on stream, this new reality (Solar energy) presents a significant opportunity to make savings, reduce fuel cost risks, achieve climate ambitions and, at the same time, keep more oil and gas available for export,” said the report. The ‘smart-palm’ tree in the desert? The ‘smart palm’ solar trees are nothing but tree shaped solar panels that are capable of generating close to 7.2 kWh per day of energy. The photovoltaic panels (with a leaf like shape) are capable of generating enough power to remain independent of the grid. As of now, the two smart palm trees have been installed at Dubai’s Zabeel Park and at a beach near Burj Al Arab hotel. The solar trees may seem like a small contribution to the power sector, but new innovations could push the technology forward. The next generation of the solar palm will be 3D printed, an intriguing development that could allow for expanded manufacturing, although costs have not been disclosed. Could we see this kind of a technology spreading? D Idea now intends to install around 103 smart palm trees in Dubai in the coming 12 months. Obviously Dubai is a special case, but there are high chances that this kind of technology would quickly spread to other countries, especially in its Asian counterparts like Saudi Arabia, India and China. Recent reports have suggested that Saudi Arabia is planning to add close to 40 GW of solar power by the year 2032. For a country which utilizes a huge quantity of oil for its domestic electricity generation, something as innovative as a ‘smart palm’ tree can be a practical option that can be implemented on a large scale. Even India and China’s solar sector stands to gain from this as the option of getting ‘free services’ can attract large number of masses towards the renewable energy sources. Sun Edison’s Stock Has Been Slammed. Is the Sell Off Justified? In looking at the photo provided, it seems that these structures can be oriented in such a way as to not merely capture maximum sunlight for power generation, but to provide shade for structures or other areas to make them cooler as well, duplicating a natural vegetative function. Further, the bases could be designed and insulated to provide and store hot water for heating and other household purposes, especially if one of the purposes of the structures is to power water purification or production.